Although local development and construction took a hit from the economic downturn, new life is being breathed into projects that have been on the back burner for a few years. Several projects are now back on the horizon, and the community should expect to hear about them more this year. Additionally, the town has recently rolled out two economic development incentive programs to encourage development in Truckee. Up for grabs are $2.5 million for programs and developments that “build upon and enhance Truckee’s unique character and natural environment,” according to the town’s economic development website. The town is planning for general plan build-out again, with one of the town council’s main goals for this year as “supporting revitalization of the downtown core and the Truckee River.” This focus comes at a time when the Railyard Plan, which was approved in 2009, is at a standstill, and Hotel Avery, which was planned to be built on the Truckee River, has been scrapped by JMA Ventures. While some of the current projects have been in the works for years, the community can expect to see more come down the pike in future months. A controversial project due to environmental and traffic impact concerns, Canyon Springs is a proposed subdivision near Glenshire. It would include 177 single-family parcels, eight parcels for affordable housing, and approximately 171 acres of open space. However, environmental studies have shown that the project could impact a herd of mule deer that winter in the mountains in Verdi. The final environmental impact report is pending, but could be released for public comment this spring. This plan area will focus on zoning for several land uses, including commercial and retail, office, industrial, residential, and open space. It is located at the four corners of Highway 267, Brockway Road, and the Soaring Way intersection, and includes 67 acres of mostly undeveloped land. The planning commission reviewed the draft specific plan at a workshop in February, and the final environmental impact report is expected to be available for public review later this month. The planning commission will hold a public study session on the Coldstream Specific Plan on Tues., March 18, at 6 p.m. to discuss the updated specific plan and final environmental impact report. It entails an infill and mixed-use development project located on the western end of Truckee. While no decisions will be made, the public is invited to comment on the project, which will include 300 residential homes. The newest of all the proposed projects, Tahoe Donner is proposing a new cross-country ski center to replace its current Nordic and equestrian facility. The new center will be a single-story, 10,200 square foot building to include offices, locker rooms, food service, and equipment rental and repair space, as well as a service area for equestrian and bike operations in the summer. The town has received over 100 comments so far on the $6 million project, and this month the planning commission delayed a vote on the project until April 15. 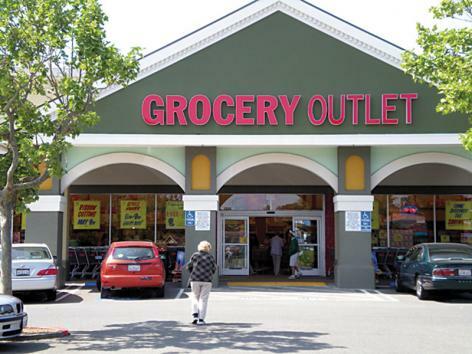 While no public hearings have been scheduled for this project, a plan was submitted to the town to build a 17,000 square foot Grocery Outlet. The project is proposed for 10040 Palisades Dr. on 7.02 acres. While the owners are only seeking land use entitlements for commercial development of 2.2 acres, no movement has been made on this project. Planned as part of the 2008 Hilltop Master Plan, “Pollard Station is proposed to be an age-restricted senior neighborhood located on the 8.05-acre Davies/Fitch property in the 37.8-acre Hilltop Master Plan area,” according to the project description. The project proposes 126 separate residential units, including 86 units in a 76,458 square foot senior lodge, and 40-two bedroom condo units. The last meeting on the project was held in April 2013, but movement on the project is expected in the next six months.